1 Athlete ticket for the 2018 Wrestle Like A Girl gala. Names will be cross-referenced with the National Governing Body to which athlete claims association. Each athlete must have a valid NGB Membership card. Individual ticket for the evenings program at the 2018 Wrestle Like A Girl gala and special access to the VIP Reception preceding the event. A table of 8 for the Wrestle Like A Girl 'Glitter Into Gold' Gala w/o access to the VIP Reception. 2 tickets to the VIP reception and the opportunity to meet & take photos with speakers and special guests; Quarter page advertisement in the program book; logo recognition on digital event material and at the 'Unite and Ignite' SportsWomen Power Summit. This table of 8 purchase ALSO supports sponsoring the live stream for the summit! It also offers access to VIP Reception and the opportunity to meet and take photos with honorees and special guests; Half-page color advertisement in the program book; Logo recognition on the digital event materials, Step & Repeat, and at the 'Unite And Ignite' SportsWomen Power Summit. Table for 8 individuals; Access to VIP Reception and opportunity to meet and take photos with honorees and special guests; Half-page color advertisement in the program book; Logo recognition on digital event materials, and Step & Repeat at the 'Unite and Ignite' SportsWomen Power Summit. VIP Table for 8; Access to VIP Reception and opportunity to meet and take photos with honorees and special guests; Half page advertisement in the program book, Logo Recognition on digital event materials, and Step & Repeat at the 'Unite and Ignite' SportsWomen Power Summit, and for your diversity & inclusion goals. VIP table for 8 individuals, Access to VIP Reception and opportunity to meet and take photos with honorees and special guests; Full page color advertisement in the program book; Logo recognition on digital event materials, Verbal recognition from the stage at both the gala and the summit; Additional programmatic benefits available for your marketing and/or diversity & inclusion goals. VIP Table for 8 individuals, VIP Reception Title Sponsor for both the gala and the summit and the opportunity to meet and take photos with honorees and special guests; Verbal Recognition from the stage; Full page color advertisement in the program book, logo recognition on digital materials, and step & repeat and BOTH the gala and the summit; additional programmatic benefits available for your marketing and/or diversity & inclusion goals. Help our cause by contributing a gift on behalf of a female you want to honor: A wife, mother, daughter, niece and/or friend. I have read and agree to the Terms and Conditions and give my consent to Wrestle Like a Girl to process my personal data. I understand I can revoke this consent at any time. Join us for the 3rd Annual Wrestle Like A Girl 'Glitter Into Gold' Gala at the majestic Broadmoor Hotel located in the Heart of the Rocky Mountains! This exclusive 5-Star, catered event with powerful speakers will highlight all of the impactful work being done in the female wrestling and female sport space! Join us in Olympic City, USA (Colorado Springs, Colorado) and celebrate the power and promise of today's female wrestlers and tomorrow's leaders. The Black Tie event will feature a 3-course menu and a celebration toast. Nonalcoholic options will be available. Join Wrestle Like A Girl to celebrate all of the success we have achieved this past year with supporters like YOU! Join us and our powerful speakers as they share how why women's wrestling is important, but what they are doing to further embody and embrace the notion of what it means to 'Wrestle Like A Girl'! 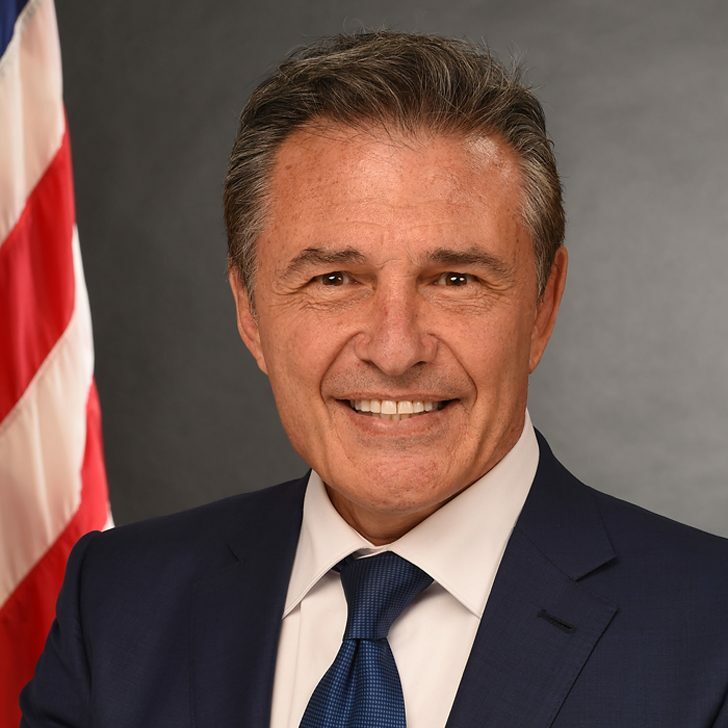 John Bardis is the Former Assistant Secretary for Administration at the U.S. Department of Health and Human Services. Mr. Bardis has served on several boards. He is the now retired founder and chairman of Hire Heroes USA, the nation's largest veteran job placement organization. In 2015 he was appointed to the Strategic Planning Committee of the board of Scripps Health in San Diego, CA, and to the Board of Advisors of Jackson Healthcare in Alpharetta, GA. In 2011 Mr. Bardis was appointed to the board of the United States Anti-Doping Agency (USADA). In 2012 USADA investigated and later suspended Lance Armstrong for his use of banned substances dating back to 1996. In 2008 Bardis served as Team Leader of the U.S. Olympic Wrestling Team, and was Team Leader in 2007 of the U.S. Greco-Roman Wrestling Team for the 2007 World Championships where Team USA won the world team for the first time in wrestling history. In 2012 Bardis served as a member of the distinguished Committee to Protect Olympic Wrestling (CPOW). In 2013 he was inducted into the National Wrestling Hall of Fame as an Outstanding American. He served for 12 years on the Board of USA Wrestling (1995 to 2011). Mr. Bardis is married and has three children. He and his wife Judy are actively involved in a variety of philanthropic endeavors, including Mully Children's Family International (MCF), founded to manage residential homes for the feeding,care, education and reintegration of orphaned children in Kenya. In 2015 the Bardis's completed executive production of the documentary film entitled "Mully" to chronicle the remarkable life works of Charles and Esther Mully. "Mully" is currently in distribution and has received awards in 2015 from the Austin Film Festival and Virginia Film Festival. Colorado Springs Marriott is reinventing the way you travel. Located near the Rocky Mountains, our hotel makes a perfect home base for outdoor enthusiasts embarking on climbing or hiking excursions at Pikes Peak and Cave of the Winds. When it's time to enjoy the great indoors, we offer easy access to all the shops and art galleries in downtown Colorado Springs. After a day of exploration, take time to unwind in our renovated, pet-friendly rooms and suites. Feel free to connect to our complimentary Wi-Fi to stay in touch with loved ones. In the mornings, fuel up at our full-service restaurant featuring a stylish outdoor patio with fire pits and breathtaking views. The Broadmoor welcomes guests to a legendary Forbes Five-Star and AAA Five-Diamond resort with impeccable service and distinctive amenities. Here, the spirit of the West inspires the adventurer within, providing endless opportunities to explore the picturesque mountains, streams, and canyons that have inspired generations. Whether you are interested in zip lining adventures and horseback riding, Colorado fly fishing, or an indulgent day at the spa, you'll find endless activities for every age in every season. Experience an iconic Colorado Springs resort where personalized luxury offers an escape from the ordinary and modern details blend seamlessly with the timeless European elegance of our historic hotel. We are a family-owned, vintage hotel with a western theme. The Buff is your base camp for adventure and a great place to relax after a long day in the saddle or exploring the sites of the Pikes Peak region. Located on a popular designated bike route connecting Colorado Springs and Manitou Springs, we are in close proximity to countless miles of biking trails at the base of Pikes Peak, and are less than a mile from Garden of the Gods Park.